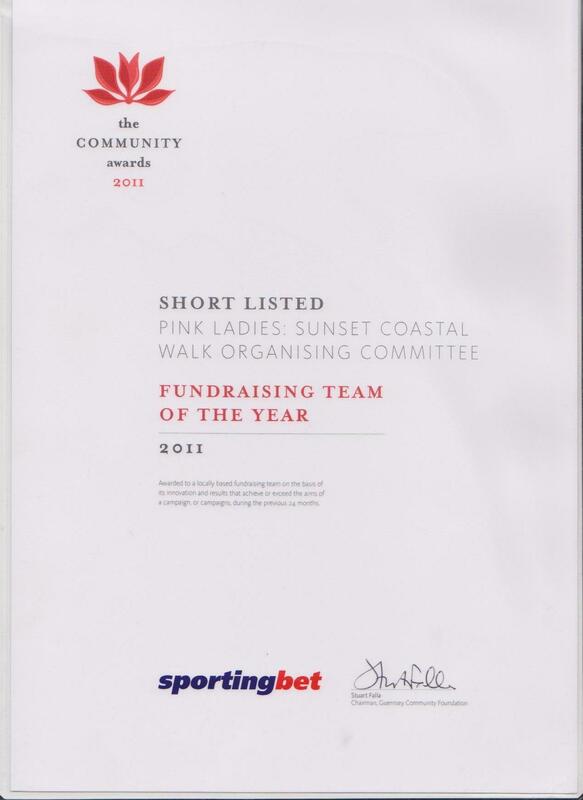 The Pink Ladies Sunset Coastal Walk Committee was shortlisted for Fundraising Team of the Year during the recent Sportingbet Community Awards ceremony. The Sunset Walk has become a biennial event and this year’s walk raised more than £85,000 for a new, expanded breast unit at the Princess Elizabeth Hospital. The Pink Ladies received a lovely trophy and a certificate - please click the below link to view the certificate Please click here for more information. Marks and Spencers kindly opened the doors to their brand-new ladies department to the Pink Ladies recently. Please click here for more information. This event will be held at Les Cotils and aims to promote a greater awareness of gynaecological cancers. Please click here for more information. A recent girls’ night in at Curves gym helped to raise more than £600 for the Pink Ladies as part of October’s breast cancer awareness month. Please click here for more information. Breast cancer is the most common form of cancer in women in Britain Please click here for more information. 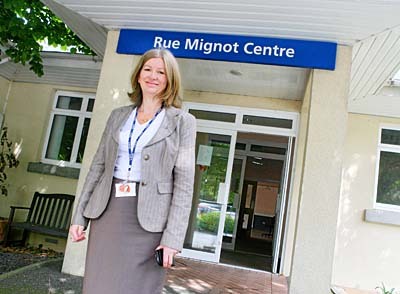 BULSTRODE HOUSE is an oncology unit that provides treatment for people suffering with cancer. Please click here for more information. OCTOBER is Breast Cancer Awareness month. As part of this, islanders are being advised to be breast aware and attend screening appointments – around 50 local women are diagnosed with breast cancer every year. Please click here for more information. 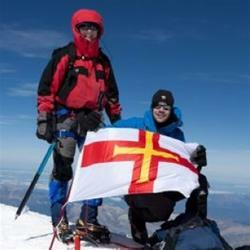 Climbing Mont Blanc was the challenge one islander took on to help raise money for the Pink Ladies. Please click here for more information. 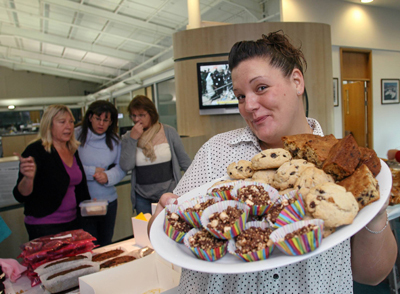 Nearly £1,900 was raised for the Pink Ladies when Guernsey Press staff put on a cake sale, raffle and auction. Please click here for more information. The Pink Ladies recently received a very generous donation from staff at Ardel Holdings. Please click here for more information. 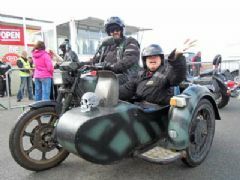 HIGH winds could not stop people two- and three-wheeling around the island as part of the sixth Guernsey Touring Motorcycle Club charity ride. Please click here for more information. A GROUP of women who took part in the Pink Ladies Sunset Coastal Walk were treated to afternoon tea at the Old Government House Hotel. Please click here for more information. The Pink Ladies congratulate Dan Edmunds on his successful challenge to climb to the top of Europe in aid of the Pink Ladies. Please click here for more information. Macmillan Cancer Support and the Health and Social Services Department are offering a free programme of help for people living with cancer or caring for someone with cancer. The programme is offered over seven weeks for two and a half hours per session. Please click here for more information. 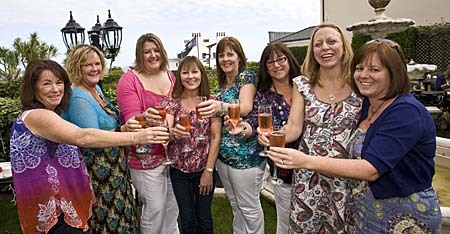 Pink Ladies are now signed up to Uflutter which is a fun way of raising funds for Causes. Create a Uflutter football, rugby or F1 game and ask friends to donate to your Cause by joining the game! http://www.uflutter.com Please click here for more information. RETIRED surgeon Roger Allsopp is hoping to become the oldest person to swim the Channel. Please click here for more information. WHEN women step out on this months Pink Ladies Sunset Coastal Walk they will be helping to fund a new one-stop breast clinic for the island. The news is both a milestone for breast cancer care and the support group, which celebrates its 10th anniversary this year. Please click here for more information. 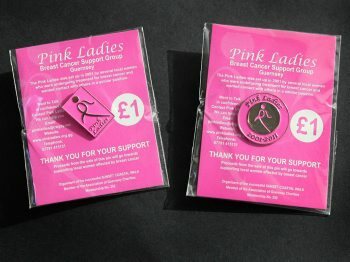 M&S Guernsey gives back to the people in our community who have been affected by breast cancer. The Pink Ladies are delighted that M&S is supporting our charity by donating £1 from every post surgery bra sold. Please click here for more information. 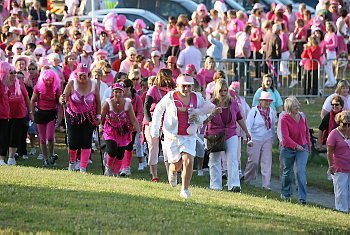 THE Guernsey Press can announce today that the Pink Ladies Sunset Coastal Walk is back again this year. Please click here for more information. This year, as well as new, pink pin-badges, the charity has launched a limited edition circular badge to mark its tenth anniversary. Please click here for more information. Its a story of courage, camaraderie and caring. 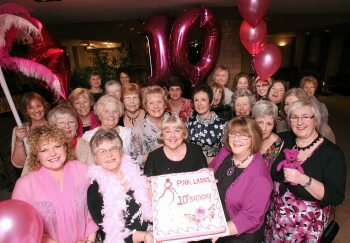 ZOE ASH reveals how local breast cancer support group the Pink Ladies, now celebrating its 10th anniversary, has helped change the lives of women throughout the island. Please click here for more information. THE Pink Ladies was set up in 2001 when oncology nurse Sue Freestone asked six cancer patients if they wanted to meet up with others going through similar treatment. Please click here for more information. Case Study. Early diagnosis can save your life. 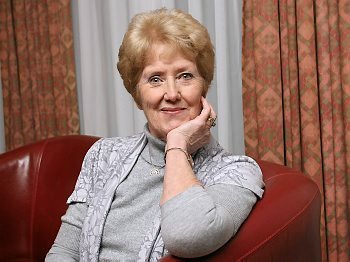 SHEILA LEACH was putting on suncream when she found a lump in her left breast. Please click here for more information. Case Study. I could not have got through it alone. 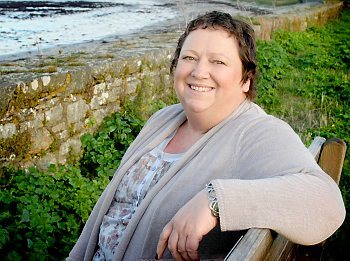 ANGELA Horsepool, 48, found a lump in her left breast at the end of January last year. Please click here for more information. A series of drop ins to advise islanders with severe illnesses about the benefits available to them are being run by the HSSD and the Social Security Department. Please click here for more information.